H226. A blue/grey all seasons garrison cap with a 1st pattern rank’s badge, the label reads Latiners VIC 1977 broad arrow Stocknumber Size 56-7 Service Number Name. H226. 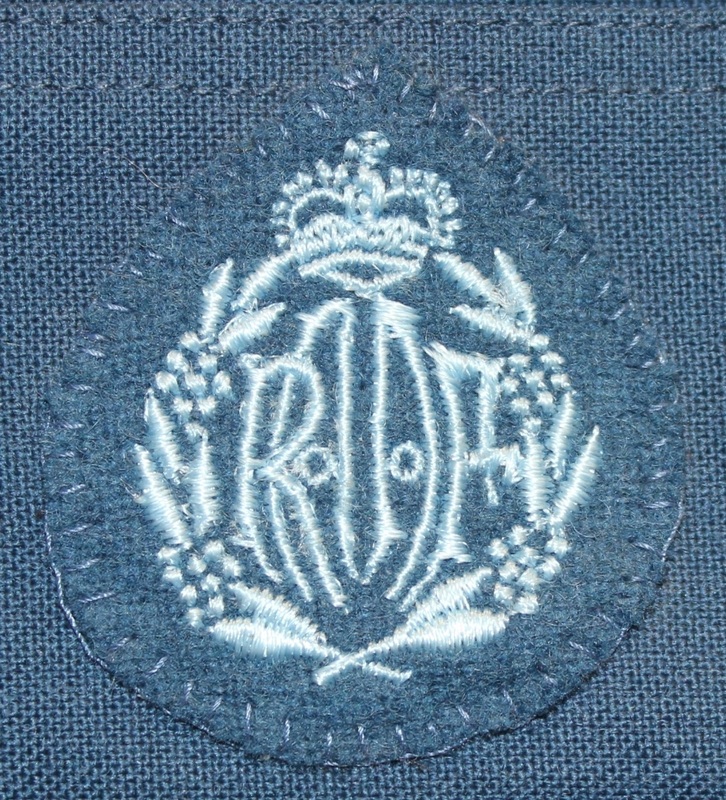 An embroidered 1st pattern ranks cap badge. H226. Makers label for Latiners dated 1977. H008. A dark blue woollen garrison cap made by the A.G.C.F. in1978. H008. Makers label for the Australian Government Clothing Factory dated 1978. H014. 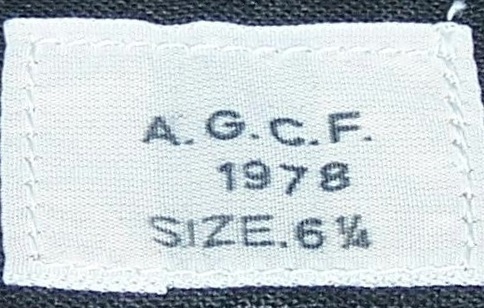 Makers label for the Australian Government Clothing Factory dated 1978. H262. A dark blue woollen garrison cap with a label that reads A.G.C.F 1978 Size 7 ¼, named to Darrin Wade and Wayne Jones. H262. 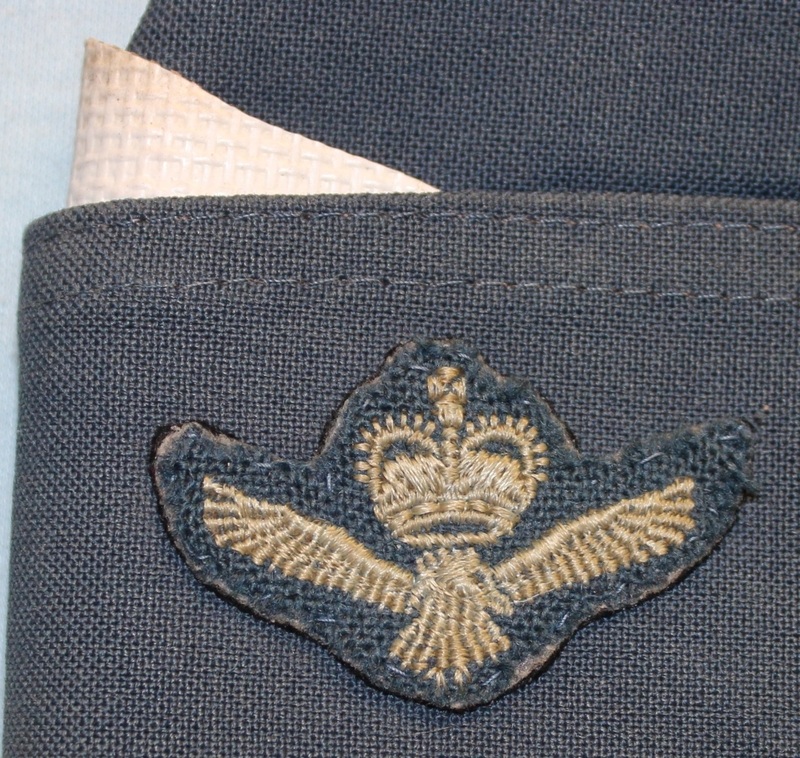 An anodised Air Training Corps cadet cap badge. H262. 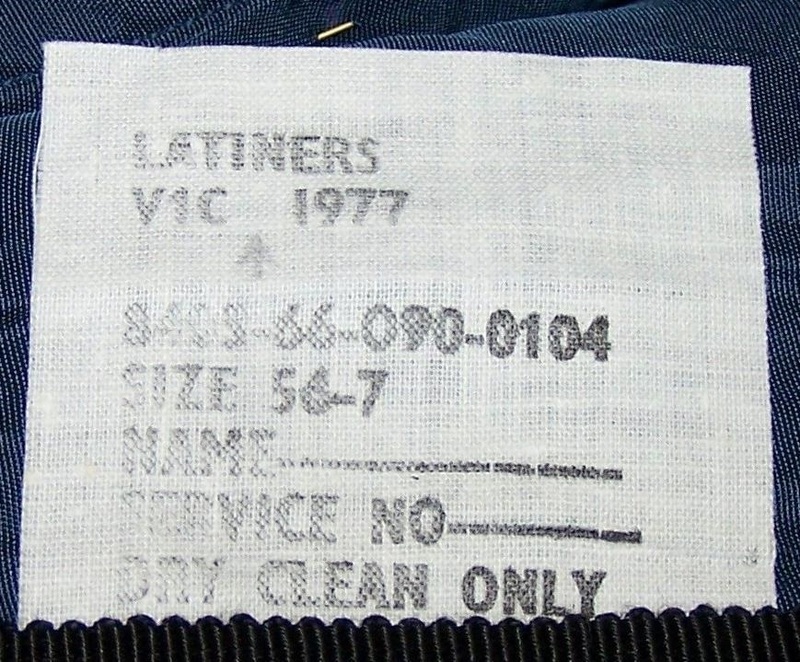 Makers label for the Australian Government Clothing Factory dated 1978 and cadet names. H225. A blue/grey all seasons garrison cap with a 1st pattern officer’s badge, the label reads A. G. C. F. VIC 1978 broad arrow Stocknumber Size 62CM Service Number & Name..
H225. 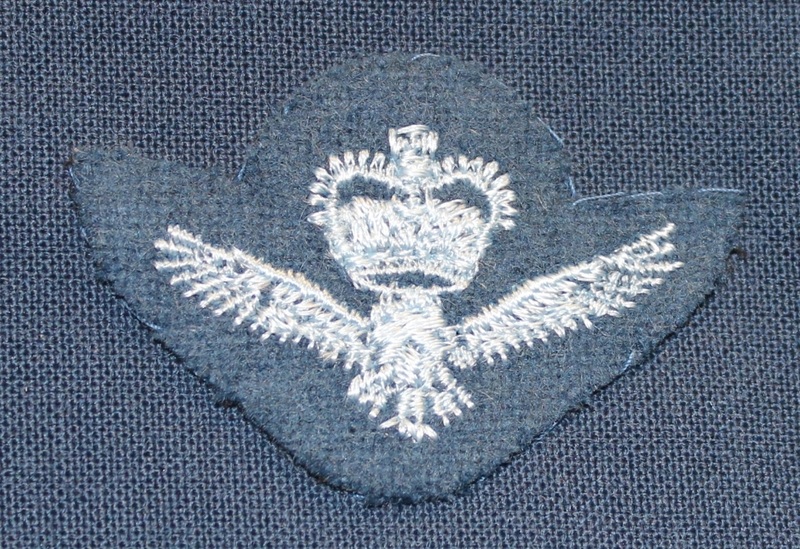 An embroidered 1st pattern officers cap badge. H225. 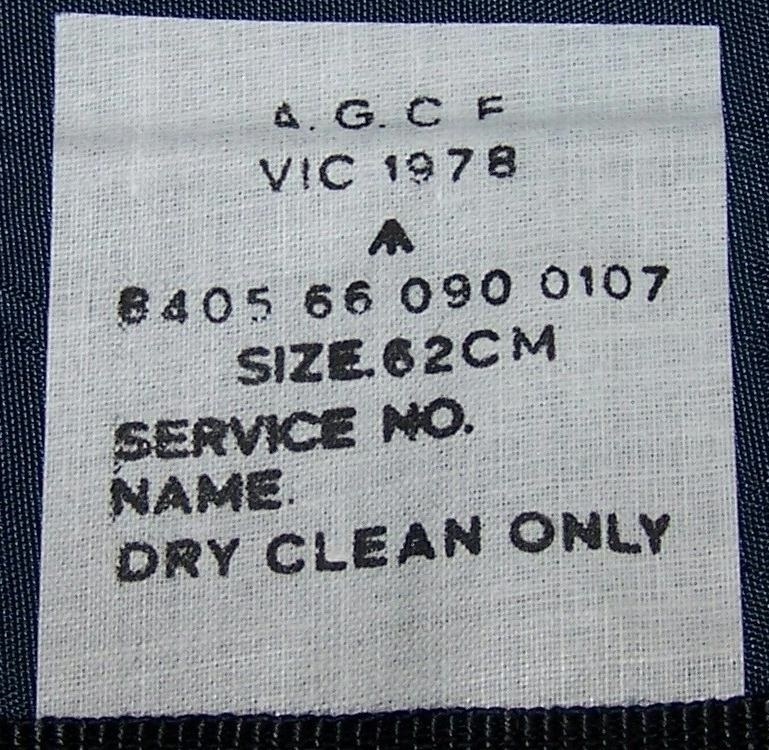 Makers label for the Australian Government Clothing Factory dated 1978. H207. A blue/grey garrison cap with an anodised Air Training Corps cap badge, the label inside reads A. G. C. F. 1980 Gerald Horky. H207. 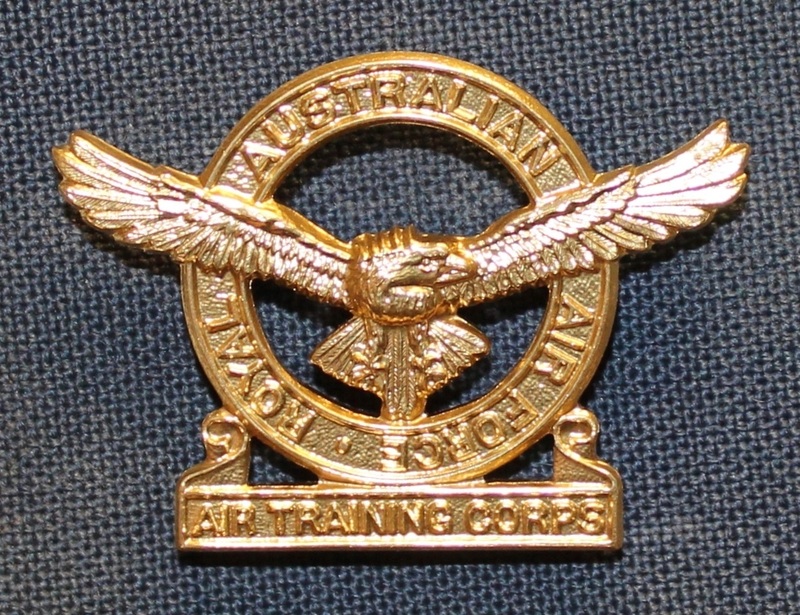 An anodised Air Training Corps cadet cap badge. H207. 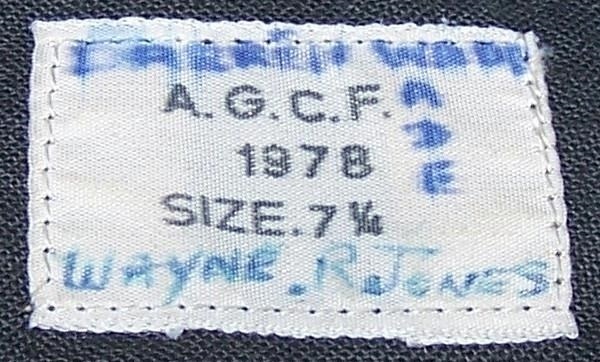 Makers label for the Australian Government Clothing Factory dated 1980 and cadet name. H448. A blue/grey all seasons garrison cap with a 1st pattern officer’s badge and white insert denoting aircrew trainee. 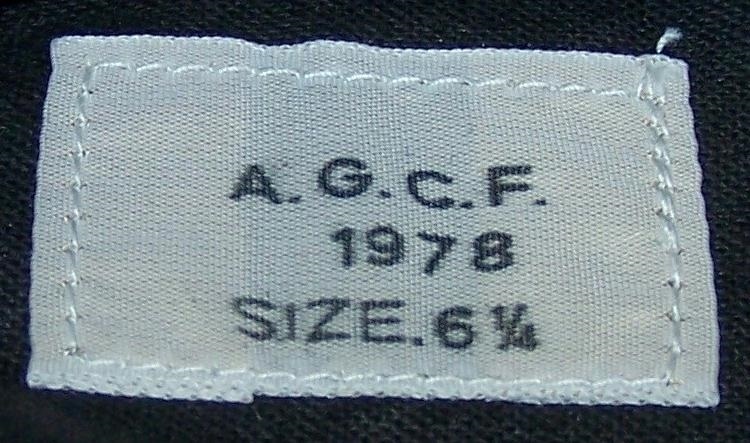 There is a label inside that reads A. G. C. F. 1982 broad arrow Size 60cm stocknumber service number and name. H448. An embroidered 1st pattern officers cap badge and white insert. H448. Makers label for the Australian Government Clothing Factory dated 1982.